Coaching books can be a great way to develop your skills as a basketball coach. Whether you’re an accomplished professional or just starting out, there are books out there which can help you to take your team to the next level. Here’s a review of the 13 best basketball coaching books of all-time, covering a variety of skill levels to develop your knowledge as a basketball coach. We’ll also give you some advice on what to look for in a basketball book, what to avoid, and what is the most appropriate kind for you. 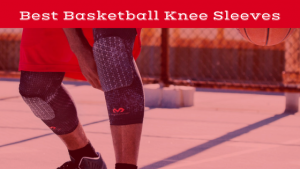 Perhaps you need to develop your pick-and-roll defense, or maybe you are more concerned with how to handle young players as a coach of a team in a youth basketball league nearby. This review will help you to determine which book is right for you, in order to improve yourself and your team. 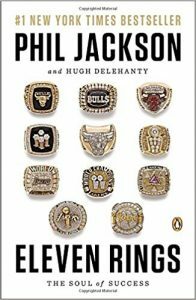 Eleven Rings: The Soul of Success by Phil Jackson Review: Though the title may be viewed by some as somewhat self indulgent, there is no doubting its relevance. Having coached teams to NBA championships on eleven occasions, Phil Jackson is something of a coaching God. In his book, Eleven Rings, the revered coach gives you his best tips about how to get the most out of your players, and yourself. If there was ever a man whose advice was worth listening to, it is Phil Jackson, and his insightful and intriguing book is well and truly worth the read. Wooden On Leadership by John Wooden Review: John Wooden is the greatest college basketball of all time, and an insight into how he developed into that is a necessity for any basketball coach. Pairing up with Steve Jamison proved to be yet another great decision by Coach Wooden, as the two combine to create a compelling read. In the book, Wooden outlines his famous Pyramid of Success, as well as providing 12 Lessons in Leadership. It is no surprise that this book is widely regarded as a must-read, as there is hardly a more decorated source from which to develop your coaching skills. Easily one of the best basketball coaching books of all-time. 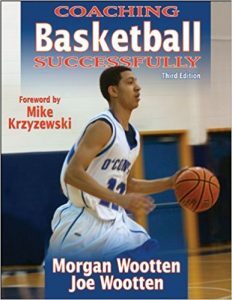 Coaching Basketball Successfully by Morgan Wootten and Joe Wootten Review: Morgan Wootten was one of the greatest high school basketball coaches of all time, and his son followed in his footsteps to become an accomplished coach himself. The two combine to impart their wisdom in the aptly titled Coaching Basketball Successfully. This book provides great information on how to become a better coach overall, but perhaps more important is the insight on how to manage high school aged basketballers. If this is relevant to you, this book should be your first port-of-call on the topic. 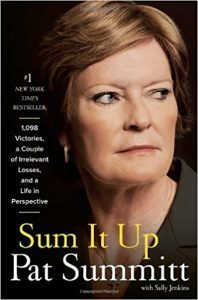 Sum it Up: A Thousand and Ninety-Eight Victories, a Couple of Irrelevant Losses, and a Life in Perspective by Pat Summitt and Sally Jenkins Review: As the old proverb goes, you should never judge a book by its cover. There is no proverb which suggests you shouldn’t judge a book by its title, however, and this book proves why. To gain an insight into mindset of the most winningest NCAA coach in history is to truly understand the right way to look at basketball. If this book can help you to do this, it will make you a better coach. The Winner Within: A Life Plan for Team Players by Pat Riley Review: Pat Riley was one of the great coaches of the 1990s. In his book, Riley teaches you how to discover The Winner Within, and proves why he is regarded as one of the great motivational speakers. This book will provide you with proven, applicable information about how to maximize the potential of your squad, and will ultimately make you a better coach. This all adds up to it being one of the best basketball coaching books in circulation. The Power of Negative Thinking: An Unconventional Approach to Achieving Positive Results by Bob Knight and Bob Hammel Review: As the coach with the second most wins in NCAA history, Bob Knight is well placed to impart a lot of wisdom. This book will provide you with an alternative way to view coaching, and while it may not make you the most popular with your players, it is difficult to argue with his results. At times the writing style of this book has been criticized – even though co-author Bob Hammel is an experienced journalist – but for developing an outside-the-box way of thinking with proven results, this is a thoroughly worthwhile read. Geno: In Pursuit of Perfection by Geno Auriemma and Jackie Macmillan Review: The arch rival of Pat Summitt, Geno Auriemma led the Connecticut Huskies to five national championships during his tenure as coach. Written by the most successful male coach of a female team in history, this book provides an intimate portrayal of a man endlessly pursuing excellence. Auriemma’s tough exterior hid a warm man with an incredible ability to foster positive relationships. His book will help you to become not just a better coach, but a better person. 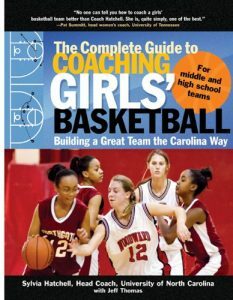 The Complete Guide to Coaching Girls Basketball: Building a Great Team the Carolina Way by Sylvia Hatchell Review: Head Coach of the University of North Carolinas women’s basketball team, Sylvia Hatchell is positioned to provide unparalleled insight into coaching young girls. A market in which it is difficult to find books, Coach Hatchell focusses on communication with girls in the 11-18 age range. Alongside these general communication principles is some more explicit, tactical advice. 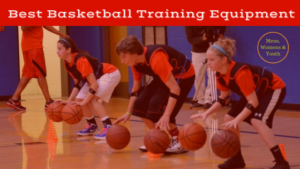 When these facets are combined, a great all-round book is created, which will help to develop aspiring coaches of both youth and women’s basketball. Furious George: My Forty Years Surviving NBA Divas, Clueless GMs, and Poor Shot Selection by George Karl Review: Over 4 decades, George Karl became one of the most successful NBA coaches in history. All this was achieved despite a demeanor which many viewed to be detrimental to his team, one which resulted in seemingly endless spats with seemingly endless numbers of people. It will come as no surprise that his autobiography is a candid account of his career, which takes absolutely no prisoners. If you see elements of yourself in Karl’s stick-it-to-the-man approach, this book could be hugely beneficial in your development as a coach. Success is the Only Option: the Art of Coaching Extreme Talent by John Calipari Review: Hugely successful college basketball coach John Calipari provides great insight into how to develop a team full of selfless players. Basketball is a team sport, but the team is often forced to cater for some pretty big egos. In his book, Calipari explains how he was able to do this, and foster a team-centric environment. For many coaches, this is a major difficulty. Calipari can help you to develop a team, rather than a group of individuals, a vital step for any coach hunting for success. 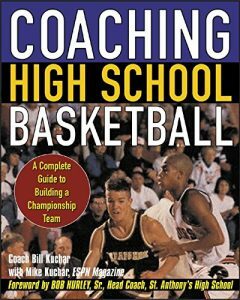 Coaching High School Basketball: A Complete Guide to Building a Championship Team by Bill Kuchar Review: Revered coach Bill Kuchar has created a unique read here. 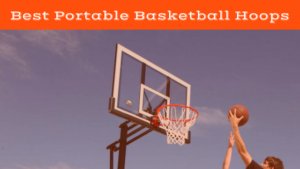 This book differs from the norm in that it is dedicated entirely to high school basketball, and provides actionable, tactical tips to help you achieve better results. This book gives detailed instructions on how to defend fast breaks, infiltrate zones, and get your players noticed by colleges. Such game-specific instructions are rare in these books, which more often focus on general principles. If you are an aspiring high school basketball coach with a base-level knowledge of the game, this book has the potential to develop your skill set enormously. The Passion to Lead: Seven Leadership Secrets for Success in Business, Sports, and Life by Jim Calhoun Review: Jim Calhoun will always be remembered for turning the Connecticut Huskies from an NCAA punching bag into a hugely successful school, winning two championships along the way. In his autobiography, he pairs up with Richard Ernsberger Jr. to provide valuable insights into the general coaching philosophies which allowed him to do this. This book is absolutely worth the read, though it has at times been criticized for being overly repetitive. The Baffled Parents Guide to Coaching Youth Basketball by David G. Faucher Review: This is a great book for coaches who are just starting their coaching careers. David Faucher is the head coach of Dartmouth Colleges Men’s Basketball Team, and he has contributed a hugely useful book to youth basketball. Perhaps the greatest feature of this book is the diversity within it. 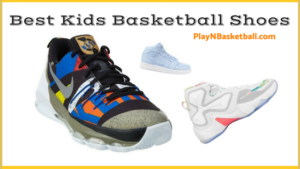 It covers many basketball fundamentals, which all kids need to learn, while also detailing how to deal with parents. It explains how to cultivate good habits in young players, as well as covering first aid. It is a comprehensive piece of work, and if you are a new coach it will lay many of your fears to rest. Coaching Basketball for Dummies by National Alliance of Youth Sports Review: Simply put, this book is about as basic as it gets. 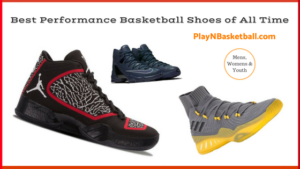 It details concepts which even the most passive basketball observers would be aware of. Certainly, if you’ve never seen a game of basketball in your life, this book will have its benefits. For those in coaching positions, however, or even those considering getting into coaching, it is far too basic, and will do little to develop your skills. This book truly is for “basketball dummies”. 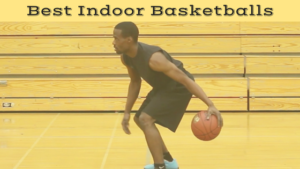 Basketball Coaching Books can be a great way to hone your skills as a coach. It is important, though, to ensure you choose the right book for you. The best basketball coaching book can vary significantly from person to person. For example, a coach in the NBA is going to have very different needs to someone just starting out their career. He might be more focussed on how to finish at the hoop around Rudy Gobert, while the coach of a lower-level team may be concerned with dribbling technique. Make sure you not only purchase the right book, but that you extract the information you need from it. Coaching books can be very information-heavy, and it can be difficult to process everything. As well as this, you want to ensure that your book is written by a reliable source. Unfortunately, some books exist purely to make money, and don’t necessarily provide the best information possible. For more information on why basketball coaching books are so useful, check out the video of Phil Jackson below. Imagine hundreds of pages of this kind of wisdom and you have a coaching book. Intended audience: It is important to ensure that the book you purchase is appropriate for you. If a book is about managing professional baller’s from international backgrounds, and you are coaching your child’s AAU team, perhaps reconsider buying it. Likewise, if you are looking to improve on an already high base, ensure the book is professional enough to accomplish that. Coaching youth basketball is a whole different ball game. Publish date: Publish date is another factor worth considering before making your purchase. You may think new books are the best option, considering the drastic changes the game has undergone in recent years. Think Steph Curry’s influence on the volume of 3-point shooting in the NBA, or Chris Paul and DeAndre Jordan taking the pick-and-roll to new levels. These concepts may be better explored in newer books, but there are certain classics which have stood the test of time, and contain some of the most reliable wisdom in the sport. Some things never change, and at the end of the day, coaching basketball is about motivating players, and helping them to get the ball in the hoop. Coach and Author Combo: Make sure your author is a reliable source. Many of the best books are written by the best coaches, in conjunction with an author. It is vital to source out these books. Phil Jackson is one of the most successful coaches in living history – it follows that his coaching books would be worth buying. Make sure you learn about his co-writer as well though, as they can have a significant influence on the book. Level of Tactical Detail: For some coaches, the improvement they hope to gain from a coaching book is predominantly centred around tactics. For others, it is more important to learn how to better manage people. Different books cover these general concepts in varying quantities, and it is important that the one you choose focusses predominantly on the area in which you wish to improve. The level of basketball which you coach can have an enormous impact on which kind of book is most appropriate for you. If you are an aspiring college coach, books about the most fundamental of coaching skills may not be necessary for you. In contrast, youth basketball coaches don’t need to be learning hundreds of offensive plays, or about how to manage college students. This is why it is so important to ensure that the book you are buying matches your needs. To help, we’ve narrowed your search into three major sections based on the level of your team; beginner, intermediate, and advanced. 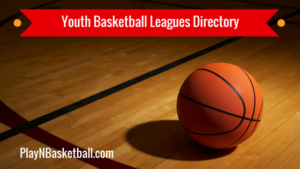 Beginner: Beginner coaching books are suitable for those coaching a team in a youth basketball league nearby or high school team in your local community. These books tend to have a more general style, focussing on the fundamentals of basketball. Need to know how to teach your kids to shoot? These books will help. Another area of focus in beginner books is communication with players, which is often a cause for concern for coaches of this age group. Intermediate: Intermediate coaching books are a great buy for anyone coaching high school or college players. Generally, these books tend to delve into greater tactical detail than beginner books, as the level of play begins to improve. Particularly for college coaches, who can be managing some very talented players with prospects of playing professionally, developing a sound tactical nous is very important. Advanced: Advanced coaching books are for coaches of college and professional basketball. These contain advice from some of the best coaches in history, who take pride in imparting the wisdom they’ve picked up along the journey. Often, these books can provide sensational tactical advice, allowing you to implement offensive and defensive plays which some of the best teams in history have used. Finding the right coaching book for you can be a hassle. Every individual coach has a unique set of needs and wants, and no book is perfectly tailored to the individual. It is possible, however, to find highly relevant and informative books which will help you to improve your skills as a coach. In order to do this, it is vital to ensure you know exactly what to look for, and combine this with the level of basketball which you are coaching. Once you’ve done that, take another look at our list of best buys, and you’ll find what you need.